I think this cover is really pretty! The colors are so peaceful, and I love the dream-like quality of it. 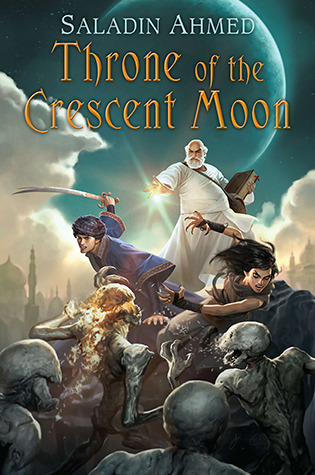 I just couldn’t get into Throne of the Crescent Moon. I made it around a hundred and sixty pages in before I just stopped picking it up again. When I catch myself finding other things to do in order to avoid reading something, I know it’s time to drop the book. 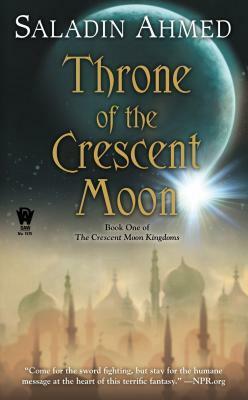 In the case of Throne of the Crescent Moon, I think the writing was a large part of my problem. It so often felt stilted, and character emotions would fall flat. I think it’s the age old case of “show, don’t tell” – this book could benefit from some more showing and less telling, especially where characters are concerned. What’s so annoying about this is that the story and world itself could do so well if only the quality of writing was improved. I liked the world – it was nice to see something beyond the standard “Ye Old Medieval Europe,” and the plot would have worked really well for an urban fantasy type book. If you do pick this one up, I wouldn’t recommend expecting too much out of it. I picked that book off the shelf at Barnes & Noble easily a half dozen times but never bought it. You’re not the only person saying I made a wise choice.